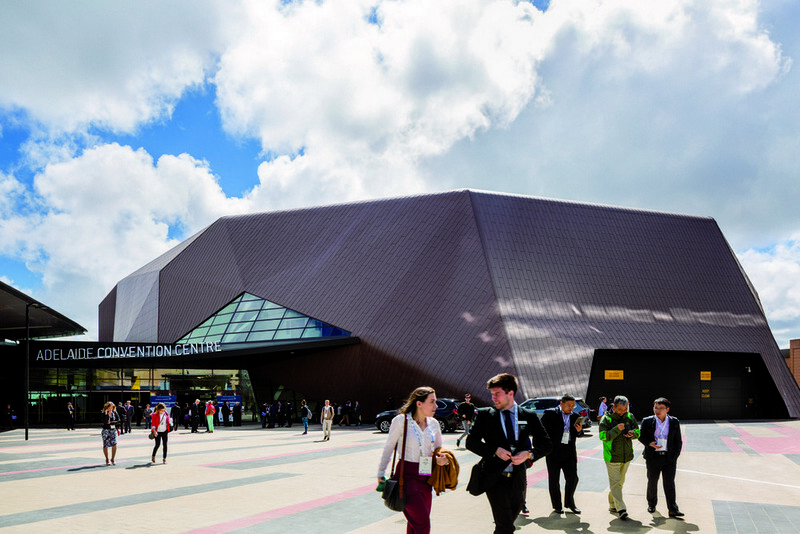 A locally-driven design intent has delivered a building that not only responds to the local environment, but has become part of a wider place making strategy. 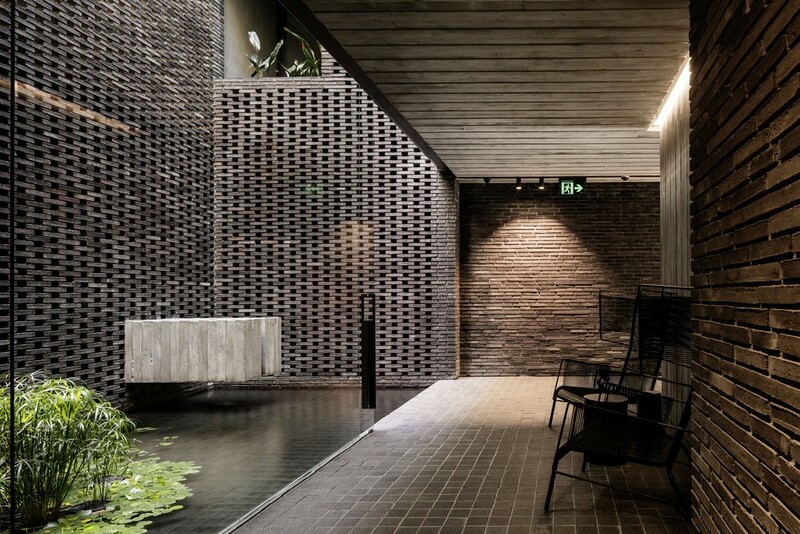 Seven projects – three future projects and four completed buildings – are finalists in this year’s World Architecture Festival Awards – the world’s largest, live architectural award program – and its sister program, the INSIDE World Festival of Interiors. Concept images have been released of Australia’s newest clinical and research facility, in Adelaide’s growing health and biomedical precinct. 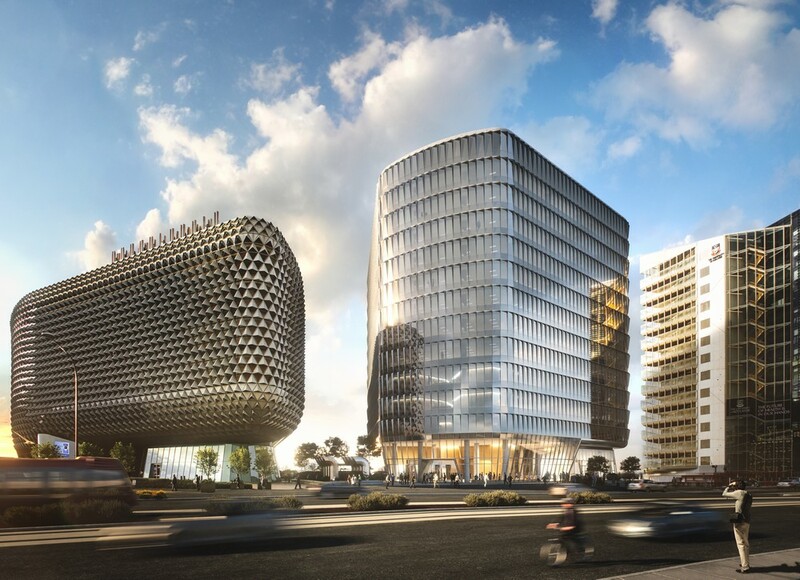 SAHMRI 2 will house Australia’s first proton therapy unit for cancer treatment – the Australian Bragg Centre for Proton Therapy and Research. The first major project in Manila for tyhis architectural office: a 36-storey otower in the city’s prominent Makati financial district. Developed by BPE Asia Real Estate Fund, L.P., the building will provide a first-class environment for a mix of international companies operating in the Philippines’ flourishing business process outsourcing sector. 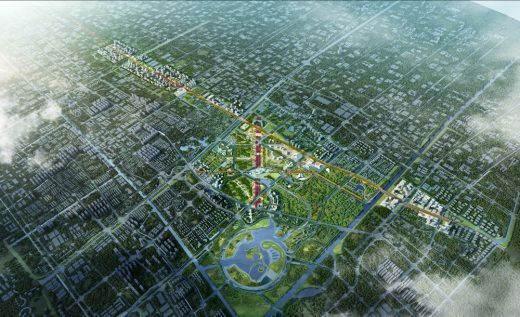 Integration, health, wellness and sustainability are the key elements guiding Woods Bagot’s concept master plan for an 8.62-kilometre stretch of Fengpu Avenue – an important pioneer development axis in Shanghai’s Fengxian New City. 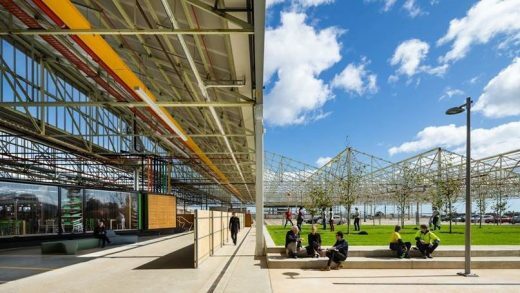 The globally recognised adaptive reuse project, Tonsley, is one of 14 to be showcased in the Australian Pavilion at this year’s Venice Biennale Architettura 2018, in an exhibit presenting architectural approaches to repairing the environment through design. 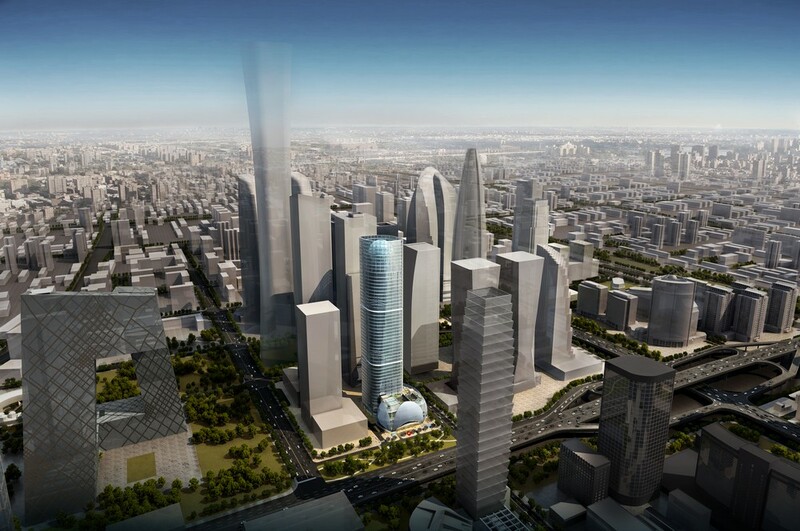 Emphasizing connectivity and cohesion, Telkom Landmark Tower is the new headquarters for Indonesia’s largest telecommunications services company. 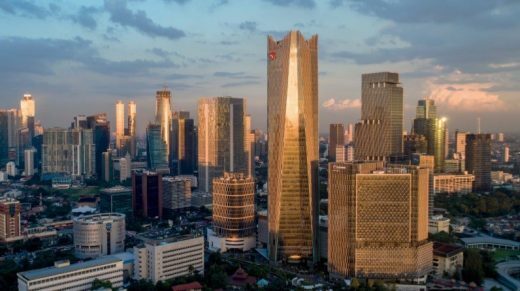 The complex establishes a powerful presence in Jakarta’s central business district while consolidating its previously scattered operations in one downtown location. 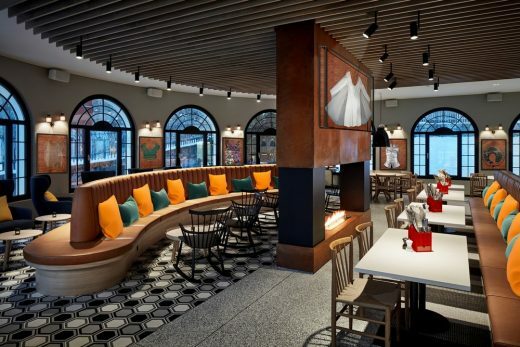 Qantas’ latest international lounge, has opened at Heathrow Terminal 3. 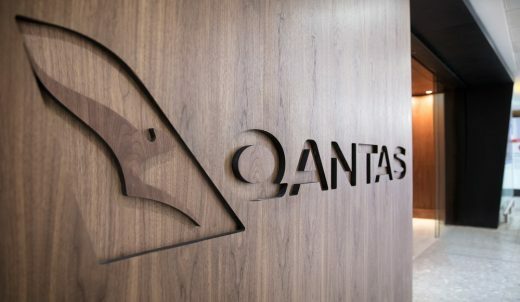 Designed collaboratively by Woods Bagot’s London and Sydney studios, the Qantas London Lounge showcases global interior design and world-class service. 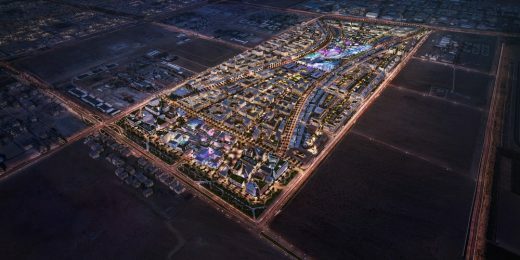 Development with property developer Arada offers a lifestyle that integrates Living, Working and Entertainment into a vibrant urban environment. The Cairns Institute, a revolutionary education and research space, has opened. 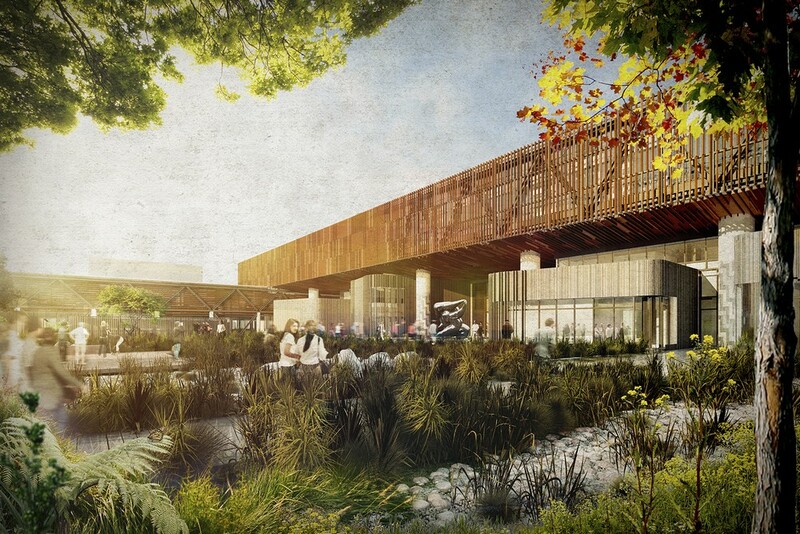 The design reflects the beautiful, tropical landscape of far North Queensland while also providing a contemporary teaching and research environment with the highest technological standards. Cradled on three sides by rain-forested slopes, the landscape setting was inherent to the idea of a tropical campus – drawing the rainforest into the campus, enriching the urban campus heart, and in turn stimulating thought leadership from the students. Staples Center, Paul Brown Stadium architect to leverage global studio to serve clients worldwide. London—Woods Bagot announced today that award-winning sports and entertainment architect Dan Meis, FAIA, will lead the firm’s new global group, Woods Bagot Sport. One of a small number of sports specialists worldwide, Dan’s past notable projects include Staples Center in Los Angeles, Safeco Field in Seattle, Paul Brown Stadium in Cincinnati, Lincoln Financial Field in Philadelphia, Saitama Super Arena in Saitama, Japan, and facilities at the United States Tennis Association’s National Tennis Center in Queens, New York. 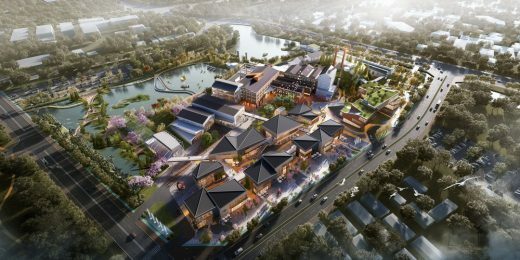 Global studio Woods Bagot has won the international competition to design China Southern Airport City, a 400 hectare mixed-use development set on the Liuxi River, in Guangzhou, China. Amidst fierce competition from some of the world’s most admirable design houses such as Zaha Hadid and Airport de Pari with Paul Andreu, the win optimises Woods Bagot’s one global studio model and continued expertise across both urban design and aviation sectors. Zig Zag Cultural Centre designed by Woods Bagot. Located in Western Australia’s Darling Ranges, Kalamunda’s Zig Zag Cultural Centre talks to its local environment, yet also appeals to a broader international market. Commissioned following the win of the design competition, Woods Bagot set out to create a series of spaces that reflect and enhance its local surroundings, yet also offer a sophisticated response to speak to a wider audience. 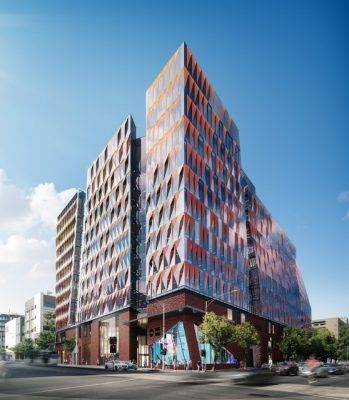 “The design of the centre has been carefully thought-out to create a balance between heritage and modern design that melds gently and unobtrusively into the natural surrounds,” said Ken Anderson, Senior Associate, Woods Bagot. Working closely with both the Shire and the community of Kalamunda, the final design proposed consisted of several smaller buildings, as opposed to the original request of one large building. “The Zig Zag Cultural Centre seeks to provide a diverse range of cultural activities in a boutique-style gallery environment. The purpose of the space is to encourage, stimulate, promote and enable a series of local and regional cultural activities to occur simultaneously throughout the space,” continued Ken. Unique to the design includes vast expanses of glass that allow visitors to see and appreciate the beautiful natural bush surrounds. Additionally, timber eaves and corrugated metal roofs used that are typical of the surrounding heritage buildings, complement the existing landscape. 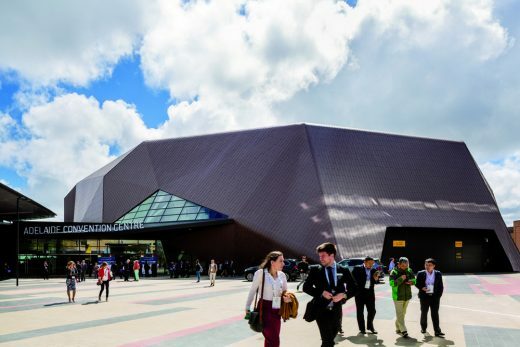 Well known for designing world class civic buildings, Woods Bagot were instrumental in the realisation of the award winning Melbourne Convention and Exhibition Centre (in collaboration with NH Architecture), and are currently designing the Adelaide Convention Centre in collaboration with Vx3. December 6, 2018 in Architects.